When you think of March, you might think of St. Patrick’s Day. And what color immediately comes to mind? Green. But today, the color green has taken on a brand new significance as the symbol of the booming green energy movement. That has become a vital component of Europe’s economy—including the nation where St. Patrick’s Day originated. Demonstrating green practices can be a notable business differentiator for service providers looking to sell services to the European market. Europeans care strongly about sustainability: slightly more than eight in ten E.U. citizens felt that environmental impact was an important element when deciding which products to buy. One example of this practice is Taxi Stockholm – which has an initiative to be completely free by 2025, an initiative that extends to their data center and IT service provider Devinix as well. So, for U.S. companies that are trying to take advantage of the European market, colocating in data centers committed to both using green technology and innovating new efficiency measures is a way to distinguish themselves from their competitors. At Interxion, energy efficiency is a company-wide policy, with energy-saving measures built right into its datacenters. For more than 20 years Interxion has pioneered energy-saving designs and harnessed everything from arctic winds to underground aquifers to the Baltic Sea to reduce its energy use and thus reduce its carbon footprint. In addition to sustainable energy, Interxion’s Ireland data centers are making major contributions in energy efficiency. Interxion has pioneered new approaches to data center design and management, including improvements around power usage effectiveness and the industry’s first-ever modular approach to data center design. Interxion even designed its newest Ireland data center DUB3 with a specific focus on energy-saving modular architecture, incorporating cooling and maximum efﬁciency components. Interxion’s efficient and sustainable facilities have changed the conversation around data centers. Once feared as a source of pollution, data centers are now embraced for their energy contributions to surrounding communities. 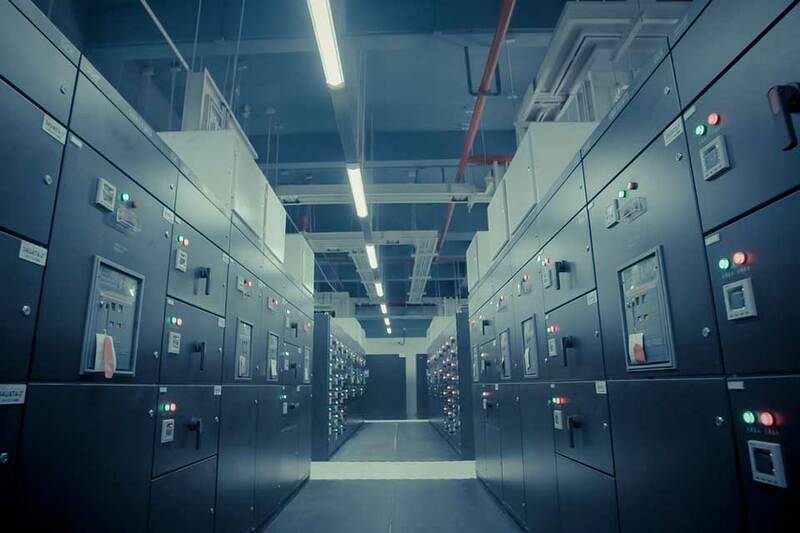 Enterprises that wish to boost their business in energy-conscious Europe have also embraced data centers equipped with green technology. With such enormous benefits to the data center industry, environment, and local communities, it is easy to imagine Interxion’s green energy initiative is a win for all.